Conwy Golf Club is North Wales coast’s leading Championship Links course and host venue for the 2020 Curtis Cup matches. A golf course good enough to be chosen for top events, but player-friendly for all levels. One of the signature holes of Conwy Golf Club is the 16th hole which has a narrow gorse-lined fairway where only an accurate tee shot will suffice. This is the start of an extremely challenging closing three holes where many good rounds have been ruined. Conwy Golf Club hosted the prestigious 2009 European Amateur Championship, a Ladies European Tour event in 2010, its third European Seniors Tour event in 2012, the 2015 R & A Boys’ Home Internationals, the 2016 Ladies’ and Girls’ Home Internationals and will host the Mens’ Home Internationals in 2018. To qualify as a society/group with a reserved tee time, a minimum of 16 golfers is essential. This gives a green fee discount with a further discount for parties of 24 or more. For further details, information or enquiries, please contact the Secretary on 01492 592423 option 2. The drive to the course is less than an hour from Cheshire and Merseyside, and just over an hour from Manchester and The Potteries. 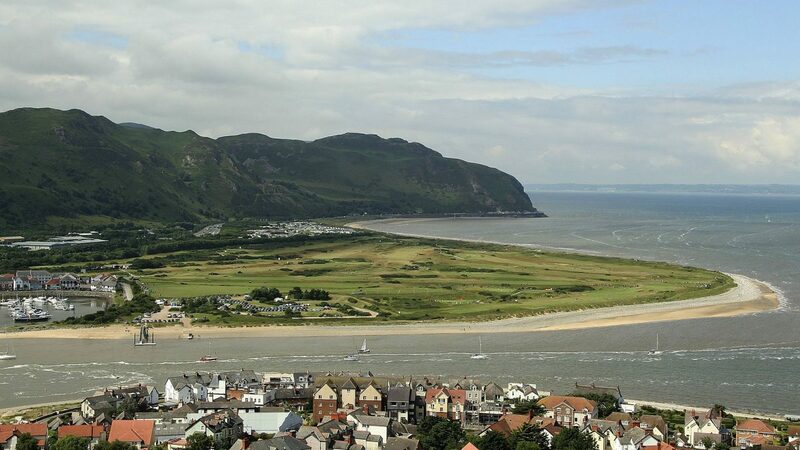 The course is easily accessed from the A55 (Junction 17), SAT NAV LL32 8ER and has magnificent views over the Conwy estuary to the mountains of Snowdonia and the Anglesey coastline. Contact the club for further details. We offer a full range of facilities for you to practice and hone your skills. There is a 1st class practice putting green, practice bunker, two practice chipping greens and two swing practice nets. These are all located near the 18th green. This is supplemented by a full driving range where you can do a full warmup before starting your round. This is ideally located next to the 1st Tee.